Dispatched from and sold by 1n1n1. >. 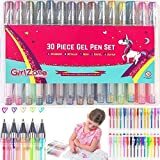 IDEAL FOR KIDS - Great gel pen set for kids gifts, party presents, craft projects and back to school stationery supplies. 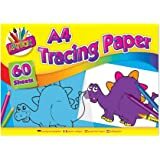 Ideal for girls and boys colouring and art projects. >. 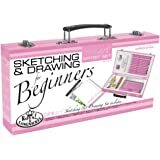 IDEAL FOR ADULTS - Ideal for stress relief and creative expression. Need a gift for the women who has everything, this 60 pack gel pen set is ideal for adult colouring in books, doodles, scrapbooking, office supplies, drawing and sketching. Sent from and sold by 1n1n1. 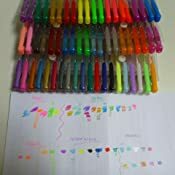 Ciaoed Glitter Gel Pens 48 for Kids Girls Boys and Adult,Glitter Neon Paste and Metallic,Fine Tip Colouring Drawing and Writing Pens,Kawaii Stationery Set for School,Ideal Christmas Birthday Present. 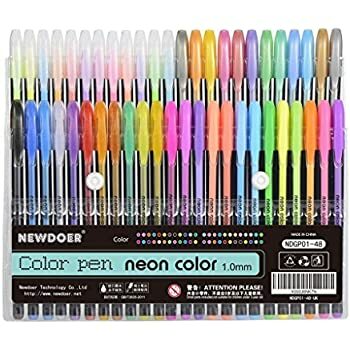 Super cool colours to choose from in Glitter gel pen ink, Neon gel pen ink, Pastels gel pen ink, Metallic gel pen ink and colours you can only dream of. 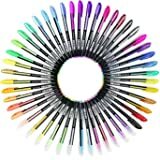 With this amazing gel pen pack you can create and explore new art techniques while amazing your friends and family with this diverse and enjoyable colouring pen set. 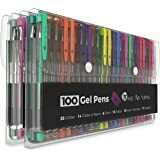 This well design and beautifully present gel pen set will make the perfect gift for both young and old. 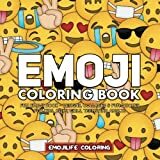 Adult colouring has become a very popular craft activity for artist and creative women and men as a way of stress relief and relaxation. 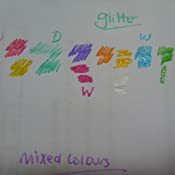 Our gel pens can be used for colouring books for adults or colouring books for kids. 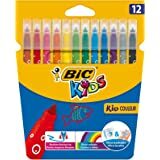 Our colouring pens come in a variety of bright assorted colour gel inks. 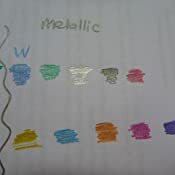 The most popular are the gel glitter pens, gel metallic pens and neon pens. 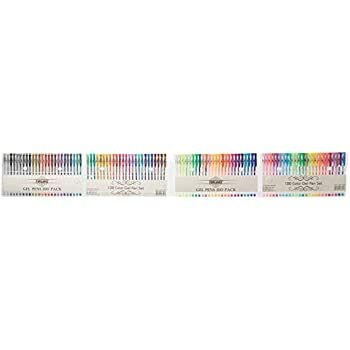 Our gel pastel pens also make for effective craft projects done on black paper. 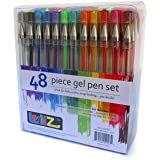 The Gecho Fine Art Gel Pen set is ideal for kids craft projects and back to school stationery supplies safe and non-toxic. 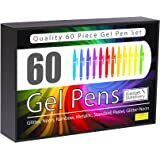 Our specially design gel pen set with case is easy to store and folds up to fit into your school bag or craft draw. 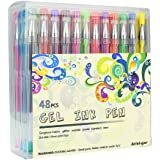 Quality Gel Pen set for the scrapbooking, card making or adding that extra special sizzle to your adult colouring in projects, doodles and sketching. 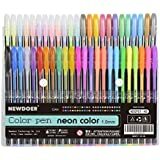 Best 60 gel pen set for adult colouring books, a great adult colouring kit ideal pens for a birthday gift or adult colouring supplies. 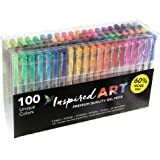 Our art pens or art set will make the ideal gift for a birthday gift for girls or back to school art supplies purchase. Was this review helpful to you? Please click YES! These are brilliant! For those pens that don't immediately work, just heat the ink up by rubbing the pen between your hands for a while, et voila! 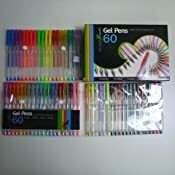 The tops on a couple of the pens seemed to be stuck when I used them last night, but after rubbing it between my hands, that was sorted too! 5.0 out of 5 starsGood item. 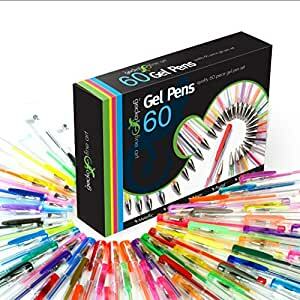 5.0 out of 5 stars... of pens and colours and types and loads of fun. 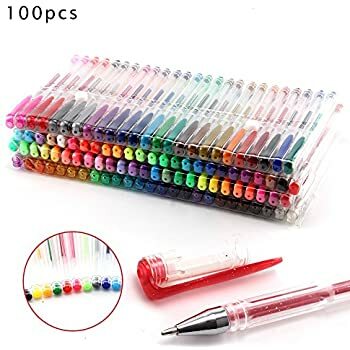 Loads of pens and colours and types and loads of fun. 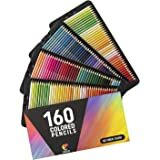 A popular gift for the creative, quick service.